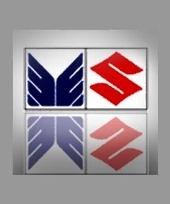 Casual workers at Maruti Suzuki India's Manesar facility are protesting against the company's decision to bar them from resuming duty after a 33-day-long stand-off between the company management and permanent employees was settled last week. A group of casual workers have been sitting in front of the Manesar plant, asking the company to let them rejoin work. According to worker sources, the company has not allowed casual workers -- who had supported permanent workers during their standoff with the management over signing of a 'good conduct bond' -- to enter the factory since last week. "The company has let in only a few casual workers, who had not supported the agitation of the permanent workers," a worker said. A company spokesperson said: "We are gradually ramping up our production at Manesar, including our new 250,000 capacity Manesar B assembly plant. Most of the contract workers are likely to be absorbed in the expanded operations." The company had started partial operations of the second unit at Manesar on September 2 as it was trying to normalise production at its first plant amid the labour problem. standoff that arose after the company prevented workers from entering the plant without signing a 'good conduct bond'. While the management had alleged sabotage and deliberate compromise on the quality of cars being produced, the workers at the plant said the company's motive was 'revenge' for a 13-day strike in June demanding the recognition of a new labour union -- the Maruti Suzuki Employees Union. As per the agreement, the company agreed to conditionally take back 18 trainees that were suspended. However, it refused to take back 44 regular employees against whom disciplinary action was taken and who remain under suspension. The agreement was brokered by the Haryana government, whose officials, including Deputy Labour Commissioner J P Mann, Assistant Labour Commissioner Nitin Yadav and Gurgaon District Commissioner P C Meena, were involved in the hectic negotiations. Haryana Minister for Labour and Employment Shiv Charan Lal Sharma had also involved himself with the negotiations. Earlier, in June, the company had witnessed a 13-day-long strike by the workers at the plant, who were demanding the recognition of the MSEU. The stir had resulted in a production loss of 12,600 cars, which were valued at about Rs 630 crore (Rs 6.3 billion). Strike: Is Maruti harassing its workers?